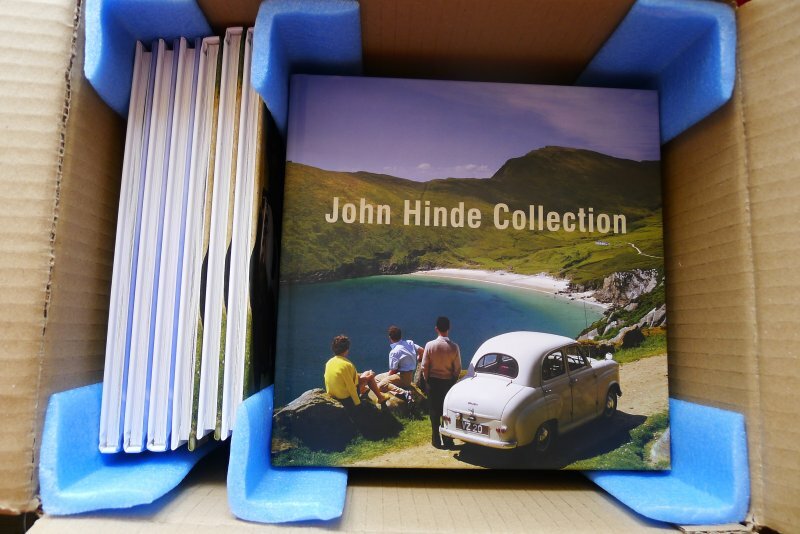 August - John Hinde Collection (the book) is finally out! After much deliberation and a few proofs, we decided to go ahead. Due to prohibitive lithographic costs, we had to decide to print it digitally. But we think the result is really good. Judge for yourself. Click here for further information. March - The Photographers' Gallery in London in conjunction with us, John Hinde Collection, have launched a new set of Irish John Hinde prints - some available directly from us and some from the gallery. Click here to see them. John Hinde is included in a BBC programme called Britain in Focus showing him as a pioneer in colour photography. John Hinde Collection advised and supplied images. Instagram Takeover in March 2017 for The Photographers’ Gallery, London. Work, Rest and Play: British Photography from the 1960s until Today; an exhibition curated by The Photographers’ Gallery, London with support from the British Council, includes four of John Hinde edition prints. It tours venues across China including Shenzen, Xiamen, Shanghai and Beijing. 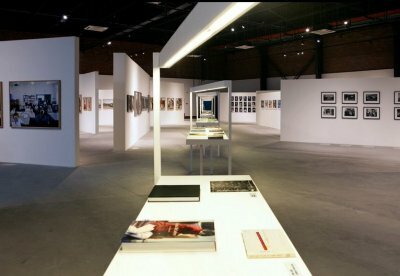 This is the first touring exhibition in China solely devoted to British photography. The landscape has drawn the lens of photographers since the invention of the medium. This summer, Print Sales has drawn together some of the most exciting landscape work by our represented photographers. These work span the 1920s to the present day offering a snapshot insight into the diverse engagements with the genre. The Apron, Dublin Airport, Ireland is shown in the Irish Pavilion at Venice Biennale of Architecture as part of the theme of ‘Absorbing Modernism 1914-2014’. ‘Second Sight’, an exhibition at IMMA, Dublin, includes ‘On the road to Keem Strand, Achill Island, Co Mayo, Ireland’. 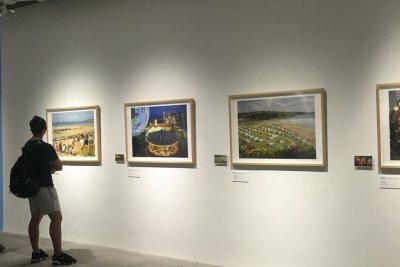 Exhibiton of the edition art prints produced by the John Hinde Collection at The Photographers’ Gallery print sales space. 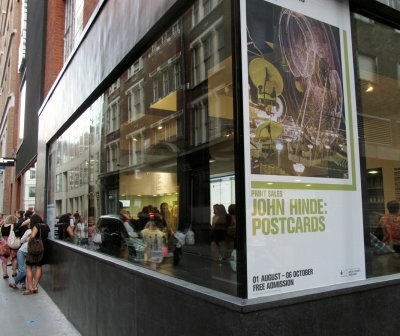 Exhibits the edition art prints produced by the John Hinde Collection at Art13 London with The Photographers’ Gallery. 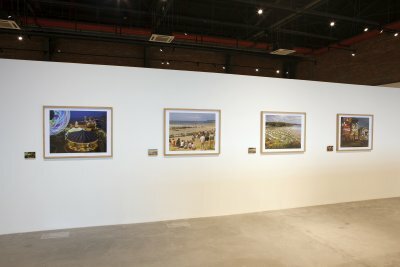 Exhibits four of the edition art prints produced by the John Hinde Collection at Unseen, Amsterdam. 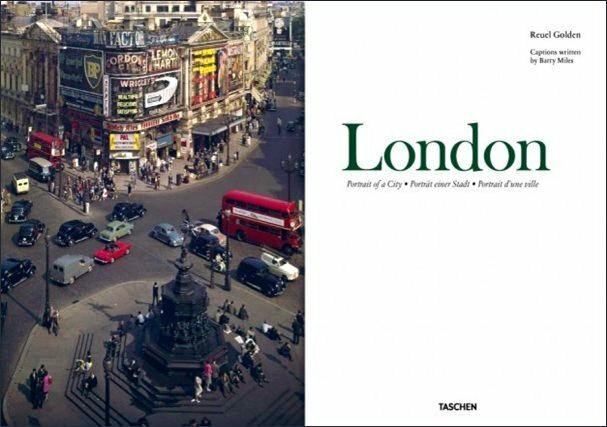 Five photographs are reproduced in ‘London, Portrait of a City’, published by Taschen. Later in the same year, TASCHEN introduces the Portrait of a City Art Edition series. For each edition, limited to only 500 copies, a legendary local fashion designer has designed a bespoke fabric to line the cover, and a large signed and numbered print of one of the images from the book is included. The images they chose are John Hinde Collection's Piccadilly at Night and City of London Policeman (Traffic Policeman) both photographed by Elmar Ludwig. 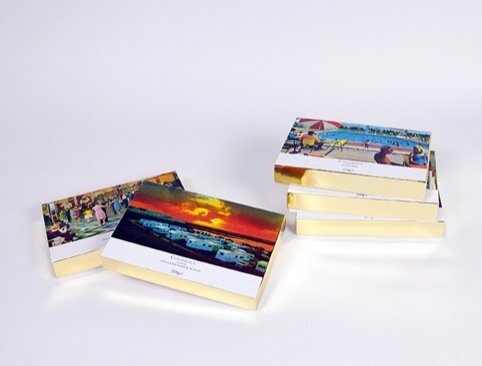 John Hinde postcards on posh boxes of chocolates which were sold in Selfridges. John Hinde Collection supplied the scans. The limited edition prints were launched at Vintage Festival at the Royal Festival Hall, South Bank, London. The John Hinde Collection is set up by Michelle Abadie and Marcus Davies as an online archive of John Hinde Postcards and a showcase for the limited edition prints. Through information that they have gathered over the years and the ongoing archiving, it has become a comprehensive John Hinde information resource. Over the years they have been called upon to advise many people including the BBC with regards to John Hinde and the postcards.